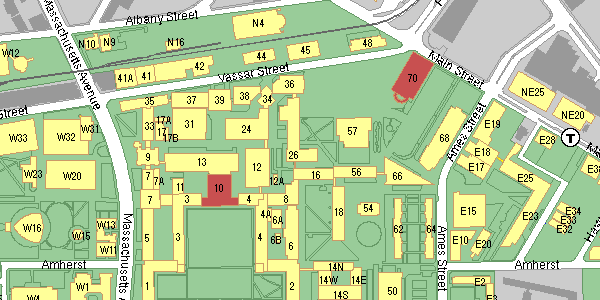 Make a right turn into the Infinite Corridor and follow it to Building 10, approximately halfway down. Room 250 is up the stairs on the second floor. Stairs are on the left, and an elevator is on the right.